These are bits and pieces of content I've found from other teachers and resources about journalism ethics. The goal, here, is to collect them in one location to make it easy for showing my own students in a quick format. Historically: A-Roll is defined as the interview footage filmed and recorded on a roll of tape. B-Roll is the footage that goes along with the interview recorded on a tape, and the two would be mixed together into a final piece. 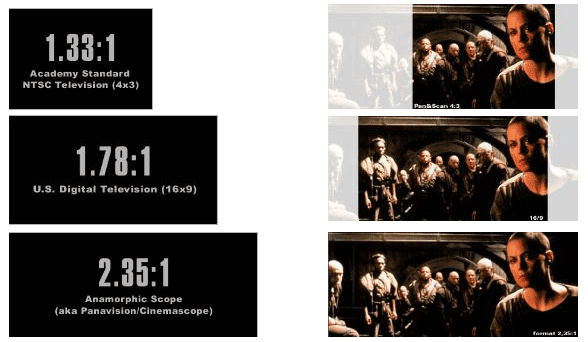 In the 2000s, the aspect ratio changed quickly to accommodate "widescreen" viewing, which ushered in a new standard of "16x9." This standard meant the screen was almost twice as wide as it was tall, including almost twice as much information. 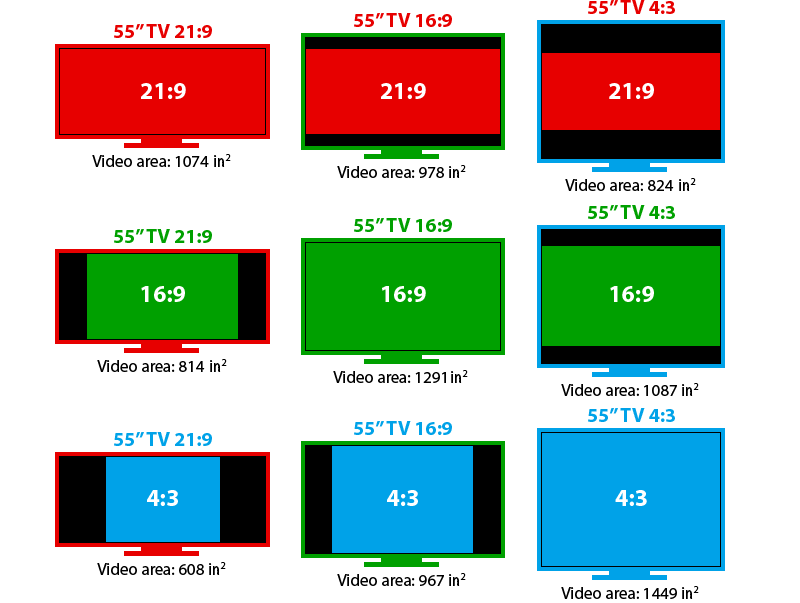 This diagram to the right shows the differences between screen area on a standard (55" screen). The black bars at the top and bottom of the screen will be different for different size televisions. Fortunately, almost all broadcast signals have converted to HD 16x9, and 4x3 signals are fading out. Very little content anymore is still shown in 4x3 unless you're watching a VHS or early form DVD. Fun Fact: TVs were 50+ inches when they were still 4:3 and tube sets. These were exceptionally expensive and impossible to move.